A vacation in Vara Blanca, located in the heart of Costa Rica, offers excellent access to a number of attractions across the area. Just 32 km (20 mi) from the international airport in San Juan, the village sits between two volcanoes--it's also just a stone's throw from the popular La Paz Waterfall Gardens. Exploring the surrounding rainforest, admiring the famous waterfalls, and trekking up the nearby volcanoes remain top activities for those on holiday in Vara Blanca. Vara Blanca is in Province of Alajuela. 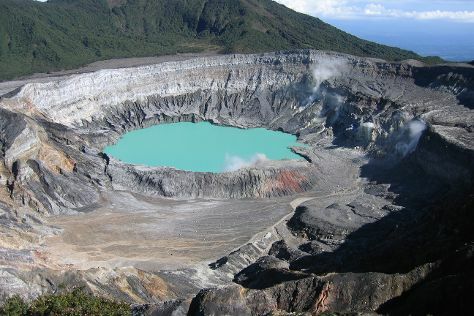 Take the guesswork out of planning a Costa Rica vacation by using our trip itinerary maker.